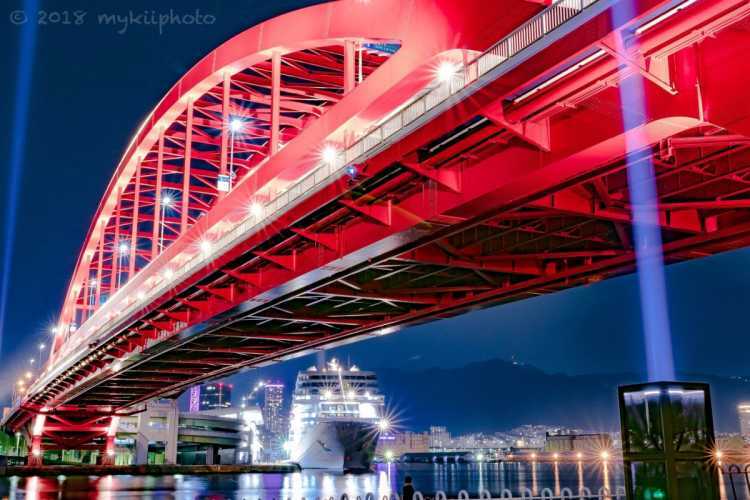 Kobe Ohashi Bridge, connects Kobe and Port Island, is illuminated at night! Specially after the rain, it changes more beautiful night scene with the reflections of the red bridge in the puddle! 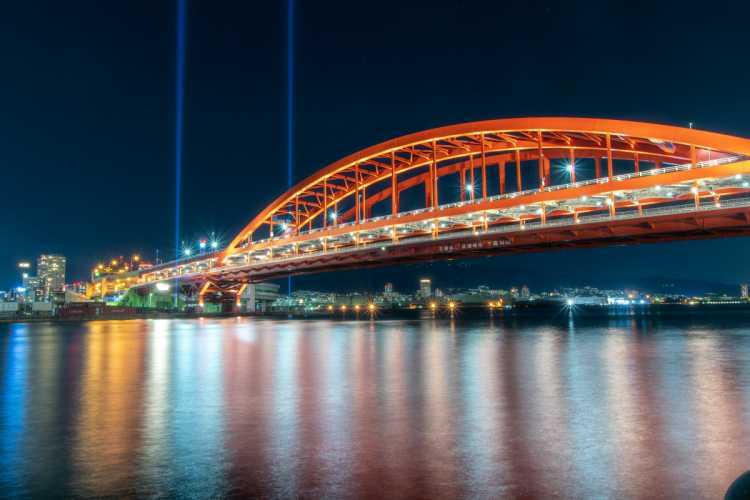 But the laser beam can't be seen everyday, please make sure the schedule.◎Port Island North Park (Kita Koen) is nice to look Kobe Ohashi Bridge closer! 7 min walk from Port Liner Naka Koen Station. No fees. The parking lot requires 150 yen per 1 hour. There was a ship anchored under the Kobe Bridge, I could take photos as I imaged for Kobe Port. The laser beam is the point.